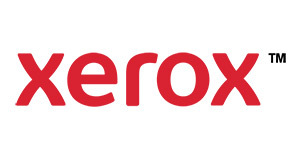 Preferred pricing on office equipment and solutions from Xerox is available for associations and other non-profits of all sizes. Groups like yours can save money by taking advantage of the significant savings available through the ASAE/Xerox contract. As an association executive, we know you’re not only responsible for keeping your members informed, but for getting them to notice and respond to regular communications like membership renewals, meeting notices, promotions, certification programs and more. And, doing all this as efficiently as possible; no easy task! This is why the ASAE/Xerox agreement is such a significant advantage for association executives. It allows you to operate more efficiently by tapping into Xerox technologies, expertise and services at a substantial savings. Cut through the clutter. Xerox offers equipment that lets you customize member communications – brochures, invoices, and more, and tailor your messages to specific individuals or groups for maximum impact. Provide timely communications. Xerox on-demand printing technology allows you to quickly and easily distribute information on the day-to-day issues affecting your members. Streamline everyday work processes. Xerox multifunction printers are true multitaskers capable of handling all your printing, copying, faxing and scanning needs, saving you time and money along the way. Get work done from anywhere, from any device. Xerox® ConnectKeyTM multifunction printers offer fully integrated mobile, scanning and cloud-based solutions – so your office is always at your fingertips. Gain control of printing costs. A wide selection of Managed Print Services can increase productivity and make your printing spend more transparent. For a complimentary consultation, fill out the contact form below or contact a representative at 800.ASK.XEROX (275.9376), ext. ASAE (2723) and reference Contract #0711866 to receive special association/non-profit pricing.